HMHB is led by a committed team of professionals devoted to enhancing the health of women and infants in Hawaii. 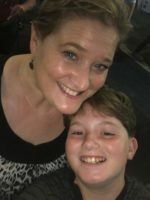 Lisa is a mother of three, serves as an adjunct public health professor at HPU, and has a background in communications, advocacy, and early childhood development. Prior to her current role, she worked in nonprofit and corporate marketing, where she helped lead international sales, marketing, and social media campaigns. Lisa is a member of the National Preconception Health and Health Care Initiative, Hawaii Maternal & Infant Health Collaborative, Hawaii Women’s Legislative Coalition, the Hawaii Maternal Mortality Review Committee, Fetal Alcohol Task Force, Safe Sleep Hawaii, and is trained as a certified lactation counselor, parent coach, and support group facilitator. Katelyn received her B.S. in Nutrition from Colorado State University and completed a Nutrition & Food Security Internship at the International Rescue Committee in Baltimore, MD before joining the HMHB dream team. She is the program coordinator of HMHB’s statewide safe sleep program, Cribs for Kids. Her passion is to cultivate confidence in women and their ability to make healthy choices, both for themselves and their families. She loves daily escapades and perpetually seeks any reason to be outdoors, embracing all of the islands’ recreational opportunities. Vivian is a graduate of the University of Hawaii at Manoa with a bachelor’s in Public Health and had the opportunity to intern at HMHB during her final semester. She is the program coordinator for Piko Pals, a new parents support program. She has a strong passion in community service, and enjoys being able to give back to where she grew up. Vivian loves music, video games, tennis, and is a big fan of the Golden State Warriors and Atlanta Falcons! Kari is a mother to a very spirited and sociable son. 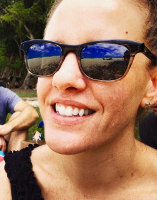 Serving 10 years as HMHB’s Project Coordinator and 6 years as a Board Member has fueled Kari’s drive and determination to directly impact women and children in Hawaii. 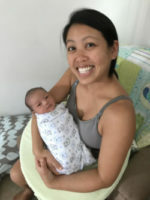 In her new role as Clinical Services Director, she will be helping to increase access to comprehensive perinatal health services for all women in Hawaii. Kari obtained her MSN and RN license, with a dual focus in family practice and nurse midwifery from Frontier Nursing University. Kari is also trained as a birth doula and breastfeeding counselor and has led many Piko Pals groups. Lianna has a B.S. in Civil-Environmental Engineering, a MEdT in Secondary Teaching and is trained in Philosophy for Children, a facilitation style that creates emotionally and intellectually safe environments where children can explore their sense of deep wonder together. Since becoming a mother, Lianna has developed a deep appreciation of community and connection. Lianna is a mother of three boys and in her free time, she loves gardening, drinking tea with friends, and volunteering as a Piko Pals Group Leader. Michelle joined Healthy Mothers Healthy Babies in 2007 and has spent her career working in the non-profit sector, mainly overseeing the fiscal and accounting departments for various non-profit organizations. She started her own non-profit financial consulting business in 2007 and has never looked back. Her passion for social justice and community advocacy combined with her love of numbers makes for a fulfilling and rewarding career. Our volunteer-led Board leaders are comprised of passionate, informed, articulate, networked supporters: people willing to spread the word about our important work among their networks, use their individual skills and expertise to increase support for our mission, and bring key feedback to HMHB staff. All Board members actively contribute time and personal resources to ensure the success of the organization. Interested in becoming a Board member? Please email your resume and qualifications and why you would like to join this dynamic organization. Chair of the Intellectual Property and Technology Law Section of the Hawaii State Bar Association. Tracey is also a proud graduate of the William S. Richardson School of Law and previously held director and Treasurer positions on the William S. Richardson School of Law Alumni Association’s board. Being a mother of two, Tracey joined the Board to help other mothers raise happy, healthy babies. Colleen Ching is a seasoned professional media industry, and uses her professional experience to advise the board on opportunities for HMHB to increase awareness. Having young children of her own, Colleen has a passion to educate mothers and their families on how to raise happy healthy children. Doctorally Prepared Registered Nurse with 10+ years of healthcare experience including Acute Care, Healthcare for the Homeless & High Risk Maternal/Child Health, and Leadership of Case Management programs. Heaven is also a Certified Case Manager (CCM) and continues her education in the area of Public Health. Yasmin is a proud graduate of Aiea High School, is a full-time businesswoman and full-time mom of two. Yasmin graduated with a B.A. in biology and later received her M.A. in communications. Medical school was in her future; however, a stroke of luck changed her career path to television news. While pursuing her master’s, she was a traffic anchor and social media reporter for KITV4 morning news. Eventually, she moved to Eugene, Oregon to become the primetime evening anchor for KVAL-TV. After giving birth to her son, she moved back to Honolulu with her husband, Sal Fasi, to raise their child. The couple now have two children, Gianluca and Zoya. Dr. LeighAnn Frattarelli is a board certified obstetrician gynecologist with a strong interest in public health as it pertains to gynecology and reproduction. She specializes in office gynecology and sees routine gynecology patients as well as infertility patients and patients with complicated gynecologic issues. Dr. Frattarelli is an active member of the American College of Obstetrics and Gynecology, The American Society for Reproductive Medicine, and the North American Menopausal Society. She was also an active member of the Emergency Contraceptive Working Group that was instrumental in passing and implementing the bill allowing pharmacy access to emergency contraception and the Perinatal Depression Network that educated the community and physicians about the realities of postpartum and peripartum depression.